Out of energy? Slow down your brain. Your brain needs a lot of energy, with some regions of the brain constantly consuming as much energy as your legs would if you ran a marathon. Most of this energy comes from glucose, which is circulated through your blood vessels and then turned into ATP to power your cells. But what if your brain runs out of energy reserves? What&apos;s so bad about sugar? Why does your brain need so much energy? Individual molecules are used to transmit messages in your brain, and these molecules are often "held" at the end of a neuron. 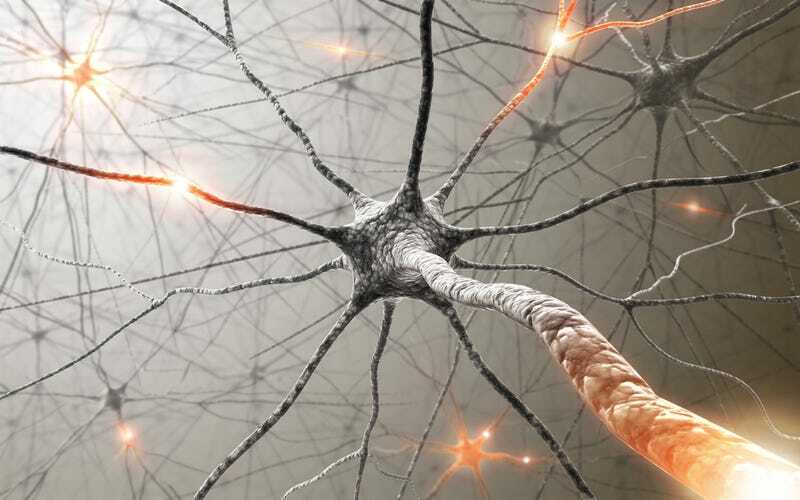 Electrical impulses, also known as action potentials, are transmitted across neurons, and this releases the chemicals. This release is not without cost, however, with much of the energy consumed by your brain used to create these electrical impulses due to the vast number of neurons and messages needed to be sent by your brain. This video offers a really good, in-depth discussion of action potentials and neurons. Our new findings suggest that if brain cells run short of energy, they start to work more slowly. However, it is better to work slowly than not at all. It is possible that this discovery could, in the long term, lead to new treatments for patients who have problems with circulation to the brain, placing them at higher risk of conditions such as stroke. When we first defined the AMPK system by studying fat metabolism in the liver back in the 1980s, we had no idea that it might regulate completely different functions in other organs, like nervous conduction in the brain. Rosiglitazone and Metformnin, two pharmaceuticals used to treat type 2 diabetes, have also been shown to stimulate AMPK, and would be naturals as they may already be in use by patients at risk for stroke. Also, Rosiglitazone (brand name, Avandia) will be available in a generic form sometime next year, possibly making this a cost efficient, preventive treatment for strokes. You can read the entire article, Phosphorylation of the voltage-gated potassium channel Kv2.1 by AMP-activated protein kinase regulates membrane excitability, for free through the Proceedings of the National Academy of Sciences. Images courtesy of GlaxoSmithKline and Shutterstock. Sources linked within the article.